Have you ever tasted a true, traditional artisan, organic sourdough bread? Now imagine the smell of fresh baked sourdough bread coming from your very own oven! 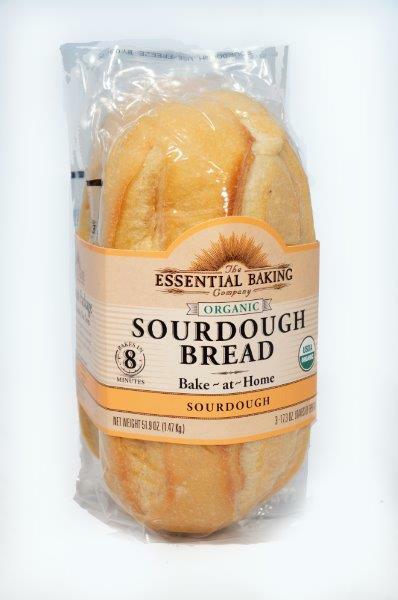 With Organic Sourdough Bread from The Essential Baking Company, you can Bake-At-Home for fresh baked bread when you want it. The best part is, it’s now available in a 3-pack at select Costco locations! Our sourdough bread is made the tradition way, using a natural starter (mother dough) or “Mamacita” as we lovingly call it and only four organic/non-GMO ingredients; Organic Unbleached Wheat Flour, Water, Salt, Organic Malt. That’s right, we don’t add commercial yeast and our bread is naturally fat free and sugar free! Unlike other imitation sourdough bread, our true sourdough ferments very slowly for over 12 hours at a cool temperature which creates a more complex, distinguished taste. Our unique Stay-Fresh Package keeps our bread Fresh For Months, Not Days. Remove bread from package and cut loaf horizontally. Top cut sizes with tomato sauce, cheese, and other favorite pizza toppings. Place in a sheet pan or directly on center oven rack. 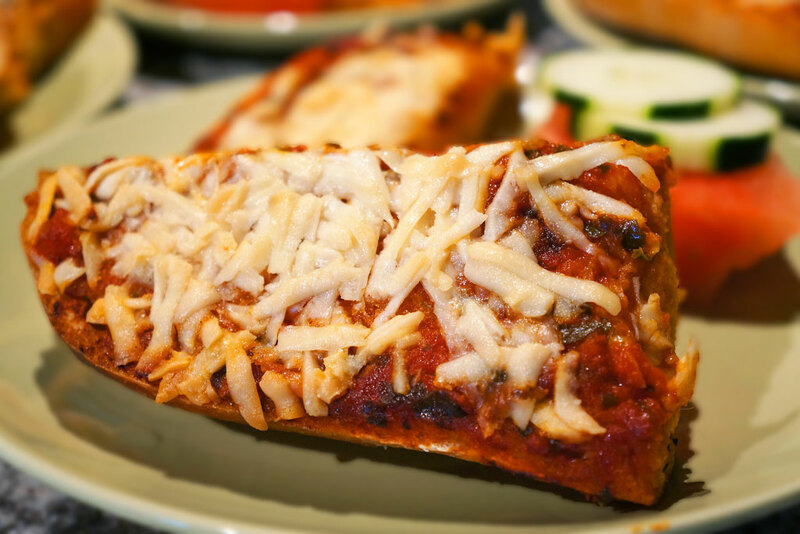 Remove from the oven, slice and serve warm. Our single pack retail Organic Sourdough and Organic Rosemary Bake-At-Home is also available at PCC Markets.